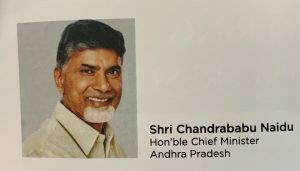 Amaravati/Vizag : As per the India Skills Report 2019, a joint initiative of Wheebox, a Global Talent Assessment Company, PeopleStrong, a leading HR Tech Company and Confederation of Indian Industry (CII), and supported and backed by renowned partners like United Nations Development Programme (UNDP), All India Council for Technical Education (AICTE) and Association of Indian Universities (AIU), Andhra Pradesh has topped the list of states with the highest employability in India. The employability level of B.Tech/B.E is 63.11% as against last year which was 42.08%; The employability level of MBA & Polytechnic stands low at 47.18% & 45.90% but has shown small improvement against last year ( MBA 44.90%; Polytechnic 33.85%). In the words of Shri Nara Chandrababu Naidu, Hon’ble Chief Minister, Andhra Pradesh, “It is our vision to make AP as the Knowledge and Skills hub of the country by facilitating the development of a robust Skilling ecosystem with International Standards. We are on a Mission mode to enhance the employability skills of our students and unemployed youth to meet the skilled manpower demand from Industry, spurred by sustained double-digit growth rates in AP. “I invite Skilling and Vocational training agencies of repute to set up their high end training centres in AP and be a part of our exciting growth story. India skills report also stated that Andhra Pradesh is on of the preferred hiring destination and one of the most preferred state of work by both Male and female workforces. The students from ITIs, Polytechnic and Engineering colleges, identified and ranked top skills which arework ethics, verbal communication, analytical & critical thinking, problem solving, interpersonal skills, written communication skills. Every Industry from FMCG, Startups, consultingetc. hire internships which are paid or unpaid. According to the report, a small percentage of students in all stateshave done at least one internship in the past twelve months, apart from many steering efforts by State skilling and education bodies increase in this one factor of creating an internships ecosystem in States will build more employable resource and that is the need of the hour. Another interesting insight from the Wheebox report is that close to 80% of candidates assessed are keen to explore internship opportunities and they believe that internship will help them in being employable, whereas 85% of the candidates feel that they are not fully equipped with information or guidance to take a conscious, thought-out career decision.